There are few things I like to do more than visit bakeries. Good bakeries, that is. And I knew Victoria, B.C. was going to oblige. It all started with this faction of folks I know who all either live in Victoria, or wish they did. They are all foodies. And they keep bragging about Victoria’s great coffee and artisanal bread. (250) 477-8882) was on the top of their list. The French name was unforgettable. 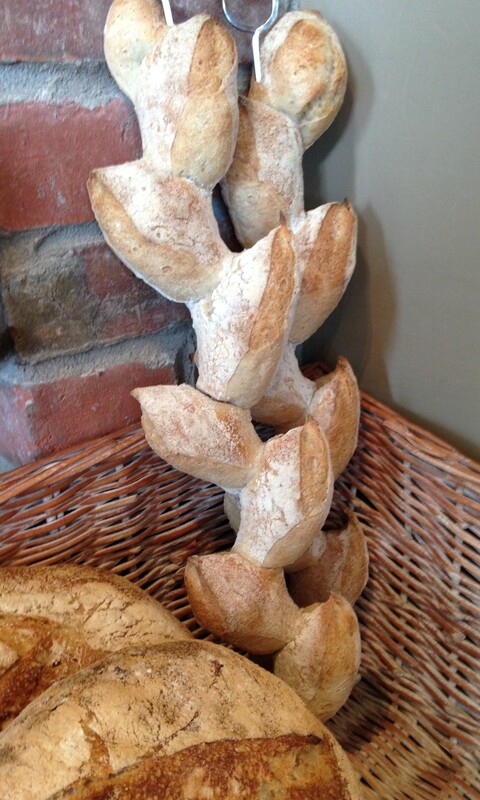 Fol means “wild” and epi is a classic, long and narrow loaf shaped like a branching wheat stalk. I never found the silo but I did see the huge stone grinder through the window of this unique destination. 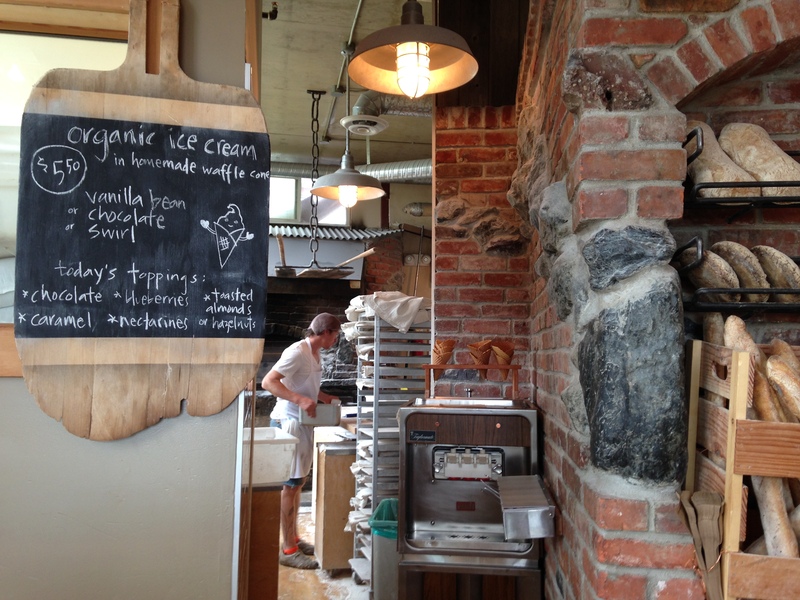 Fol Epi is located at Dockside Green, a 15-acre sustainable, LEED-certified development in Victoria’s inner harbour and the perfect venue for this organic bakery where baker Cliff Leir has installed not only a flour mill, but a wood-fired oven. 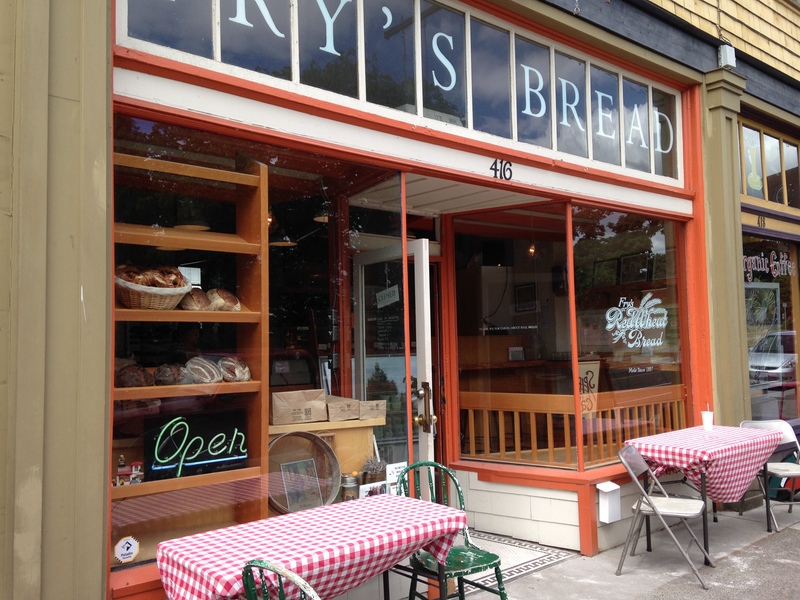 He’s using only two, organic, Canadian-grown grains at his bakery – Red Fife and rye – yet outputting a large variety of breads including the namesake epi, baguette, boule, rye round, whole wheat, and ciabatta. Not only is Leir grinding flour daily but he is also sifting his Red Fife into a more refined flour suitable for the baguette and ciabatta. Not surprisingly, this chef is a member of Slow Food Canada and while “artisanal” is a label many use with abandon – Leir defines the term. 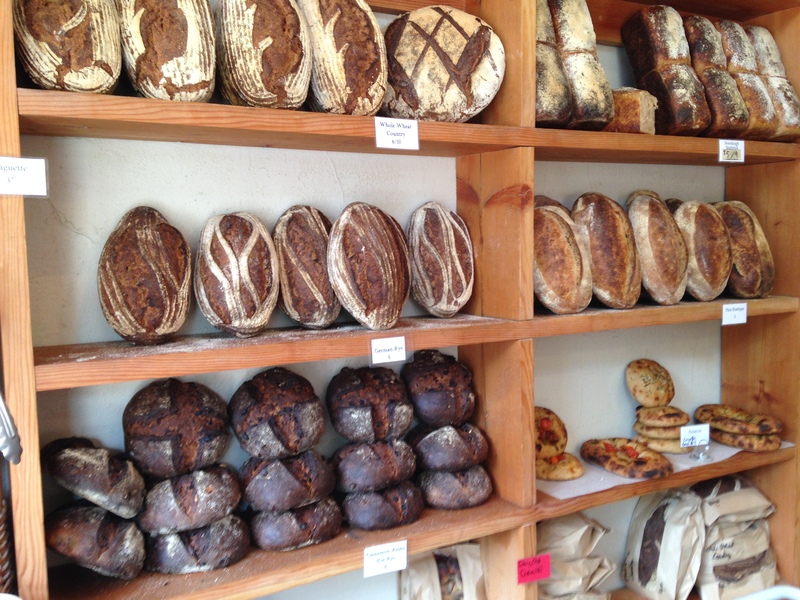 His breads are all leavened with wild yeast (aka natural starter) and often take up to 24 hours to ferment. Humidity and temperature affect these breads immensely. Factor in the fluctuating heat of a wood-fired oven and this becomes an ultra-challenging place to bake consistently high-quality loaves. I’d say Leir revels in it. I spoke to him briefly when visiting Fol Epi this month and when I suggested his bread baking routine presented a few hurdles, there was a knowing twinkle in his eyes. Then he simply smiled and nodded. He does, however, have a very modern four-deck electric baker’s oven where he produces a variety of high-selling pastries, from croissants, to canel cakes to macaroons. Then there’s the rich aroma of Caffe Fantastico wafting through his bakery. He shares the building with one of Victoria’s top espresso shops, where they roast their own beans, of course! Coffee and pastries go hand in hand. And that same special synchronicity happens in “Vic West” at Fry’s Red Wheat Bakery (416 Craigflower Rd; (250) 590-5727 ). Equipped with a cafe latte from The Spiral Coffee Co. next door, I ambled into this quaint little bakery owned by Byron Fry who started his bread-baking career with a mobile oven, visiting farmers’ markets. In 2012, he finally settled and opened this shop only to learn that in 1897 his great grandfather had established a bakery right across the street. In tribute, Fry uses his family’s historical logo and name. And he doesn’t veer too widely from the artisanal methods employed more than a century ago. Like Fol Epi, he bakes out of a wood-fired oven that he had custom built on the site. 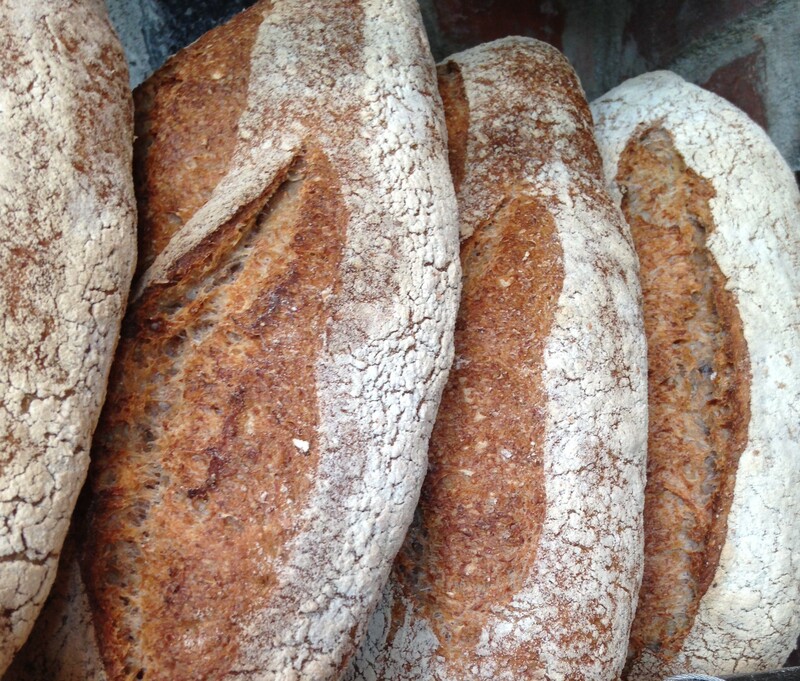 He also uses organic grains, heirloom wheat and natural starters to create loaves that are rich in taste, such as Whole Wheat Country, German Rye, Pain Rustique, Cinnamon Raisin Rye, Flax Rye, Sunflower 100% Rye, Focaccia (Olive-Rosemary-Roasted Garlic) and baguettes. I tasted the pain rustique and was floored. 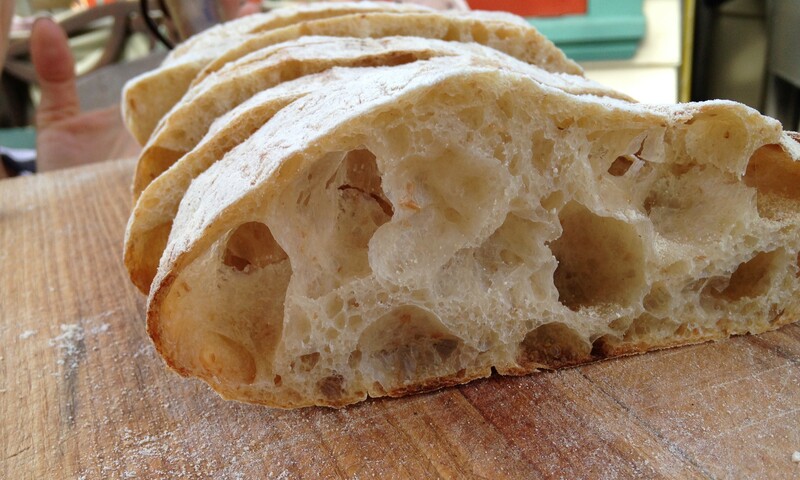 This bread contains 30 per cent whole grains and has a faintly sour, layered flavour with a wide open crumb. The cinnamon raisin rye travelled back to Toronto with me and continued to satisfy for days, with its rich rye flavour and raisin-studded interior. Fry bakes his loaves dark, resulting in a caramelized, crackly crust flecked with deliciously burnt notes. That’s something to shout about. And me, I’ll be pouting in despair until my return back to Victoria where I plan to visit five more artisanal bakeries on my list.